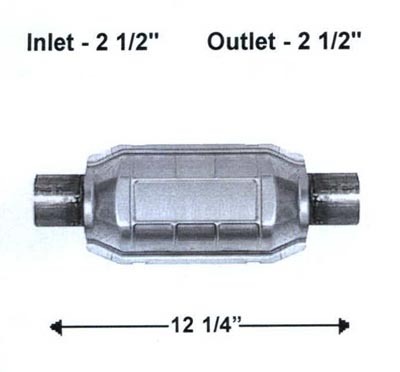 Description: 2.50 INLET X 2.50 OUTLET ROUND 12.25 INCHES OAL UP TO 5.9L AND 6250 LBS. GVW EXCEPT VEHICLES REGISTERED IN CALIFORNIA OR NEW YORK WITH CA. EMM.